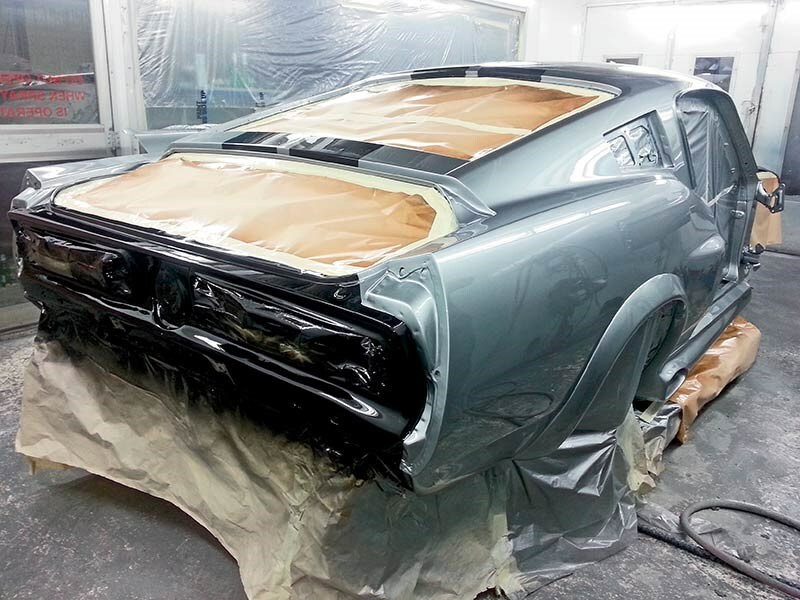 Talk with Leo Banks at the Muscle Car Factory about the prep that goes into any one car before it gets anywhere near a paint booth, and you wonder how in hell he’s managed to stay relatively sane. 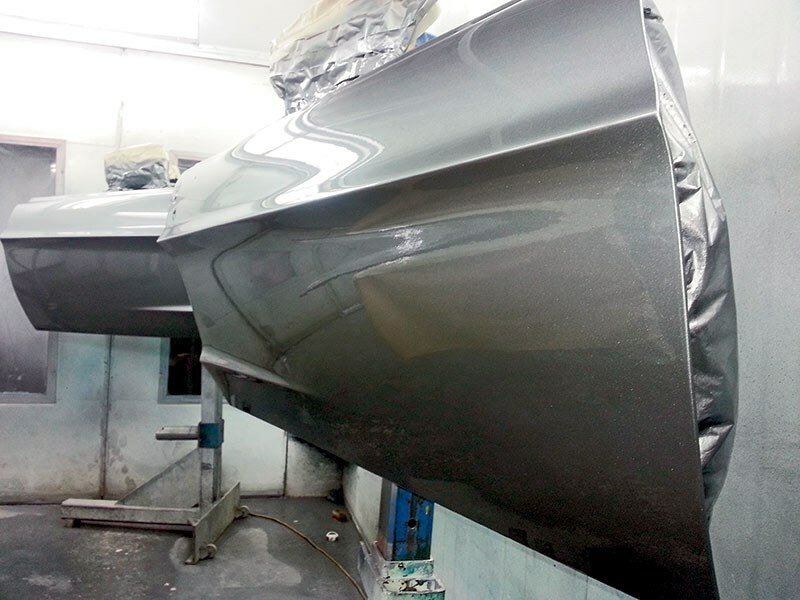 A common theme with all the car builds we’ve covered over time has been that about 95 per cent of the paint process is in the preparation. In part that’s because a poor prep job will very quickly be highlighted rather than hidden by shiny new paint. 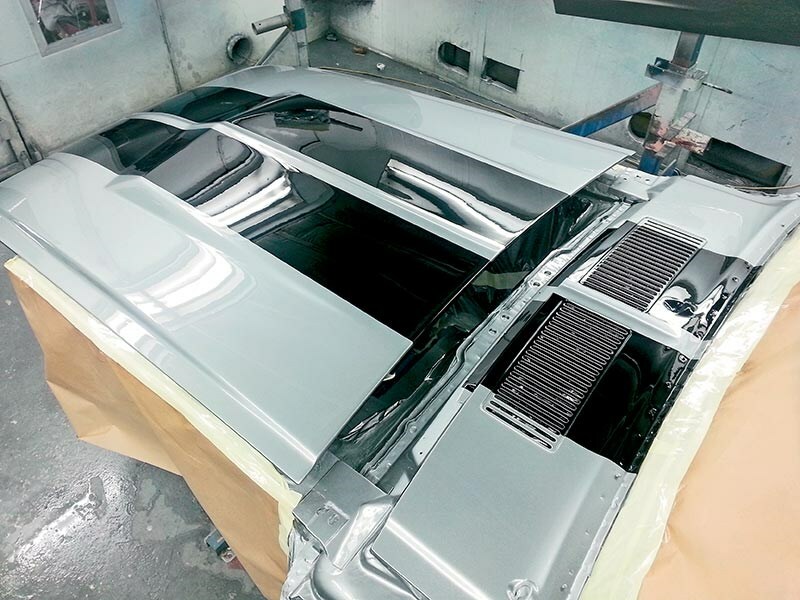 To that end, the basic steps, once you have the body together – a major task in itself – include profiling and gapping, filler, polyester coat, undercoat, rubbing back and then paint itself. It’s the profiling and gapping that requires plenty of hands-on experience. Leo says that though they’re working with an ultra-straight foundation, off their own alignment bench, there are still more than a few tricks to getting the right result. One example he quotes is the doors. Not only are they dummy-fitted with the seals taped in place, but he also drops sandbags in to get them up to correct weight. Eh? Apparently an ‘empty’ door without glass and fittings weighs around 18 kilos. And that is going to behave very differently to a fully-built version that weighs about 36 kilos. One area where the crew can save a little time is they don’t have to do a full build before paint stage. "We’ve got it to a point where it’s effectively a factory package," explains Leo, "so we know where everything goes and that it will all fit together the way it’s supposed to." That said, it’s still a mammoth task. You’re effectively getting within a whisker of finishing the body, then pulling it all apart again before you roll it into the spray booth. Typically, they’re not stinting when it comes to paying for the right materials. As good an example as any is their use of a premium German paint from Spies Hecker (spieshecker.com). It’s not a name you hear a lot about, so why the choice? 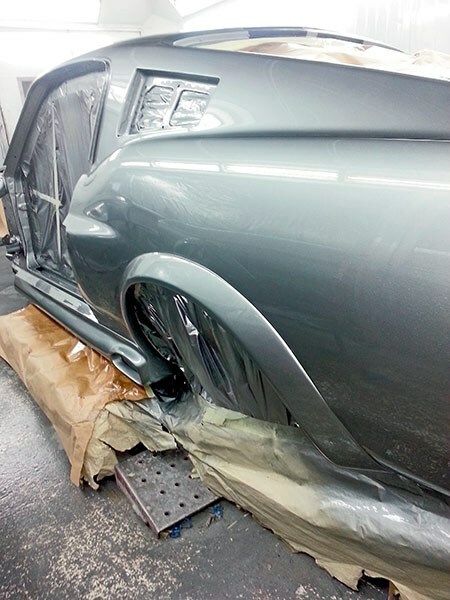 "It gives me a 24-hour window to get the stripes right and apply the clear," says Leo. Plus, the results are stunning.